Irregularly-shaped glassware can put a bottleneck in your dishwashing duties. Next time, simplify the process with this secret cleaning ingredient. 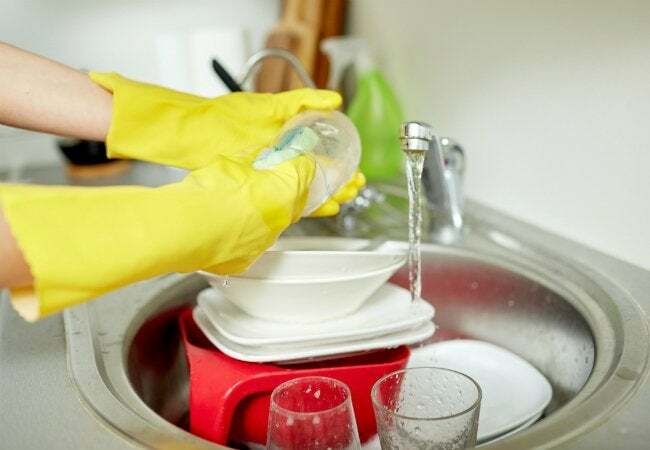 Your holiday spirits may be high when the champagne and the conversation is overflowing, but after the guests leave, you’re left with that sinking feeling of washing the dirty dishes—namely those irregularly-shaped bottles with hard-to-clean surfaces. Whether it’s a jar, vacuum flask, water bottle, or narrow vase, attempting to squeeze a dish sponge into an uncooperative carafe can seem more difficult than surviving a holiday dinner without one family argument. Fortunately, a few seasonal drinks or decorations don’t have to turn an post-meal session of dishwashing into more of a chore than it already is. 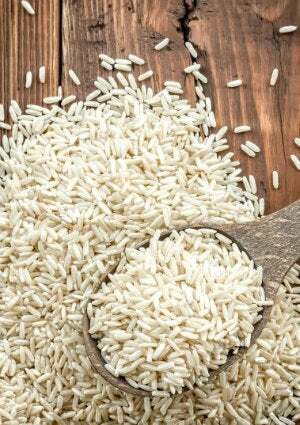 You can remove stubborn grit from finicky flagons using little more than the grain of life: rice. Dispense with your dish sponge this round and instead gather a handful of raw rice. Then fill each of the soiled bottles with a small amount of water, rice, and a dot of dish soap or detergent. If a lid accompanies the bottle, secure it over the opening; otherwise, use your hand to cover the bottle. Then, unleash your bottled-up stress and shake things up—literally—to activate the grease-fighting power of your homemade cleaner. The genie in this bottle is the rice, which is transformed into a mighty, hard-bristle brush that traverses the tall sides of bottles or flower vases to release stains and residue with ease. If you don’t have rice in your pantry leftover from the holiday meal, simply replace it with the metal ball chain from an ordinary key chain to achieve the same powerful scrubbing action. With the hassles of dishwashing removed, you’re bound to be in a bubbly mood for the rest of the season!